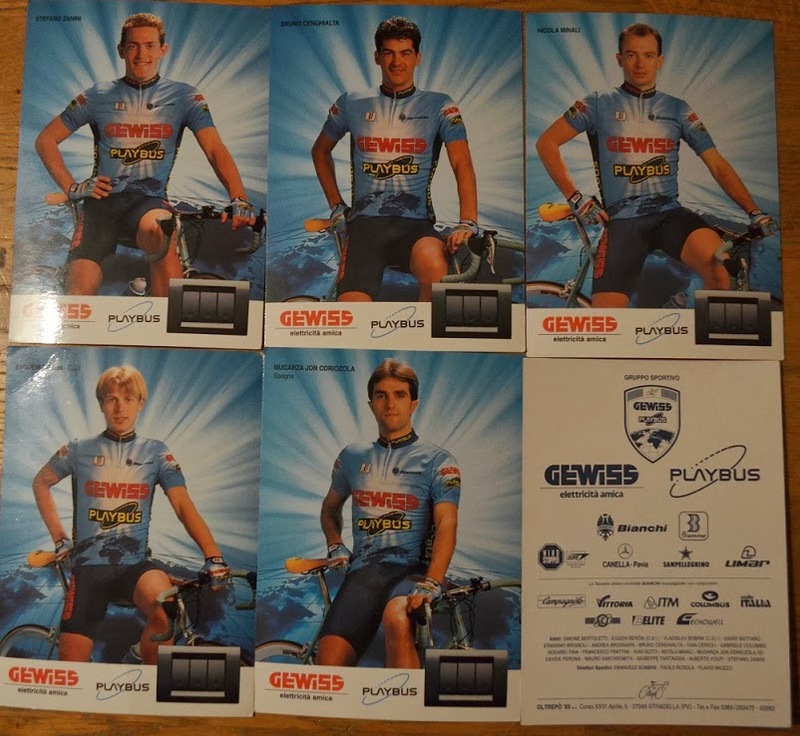 Here are som nice photos on Team Gewiss Playbus, one of the strongest Teams when they excisted. 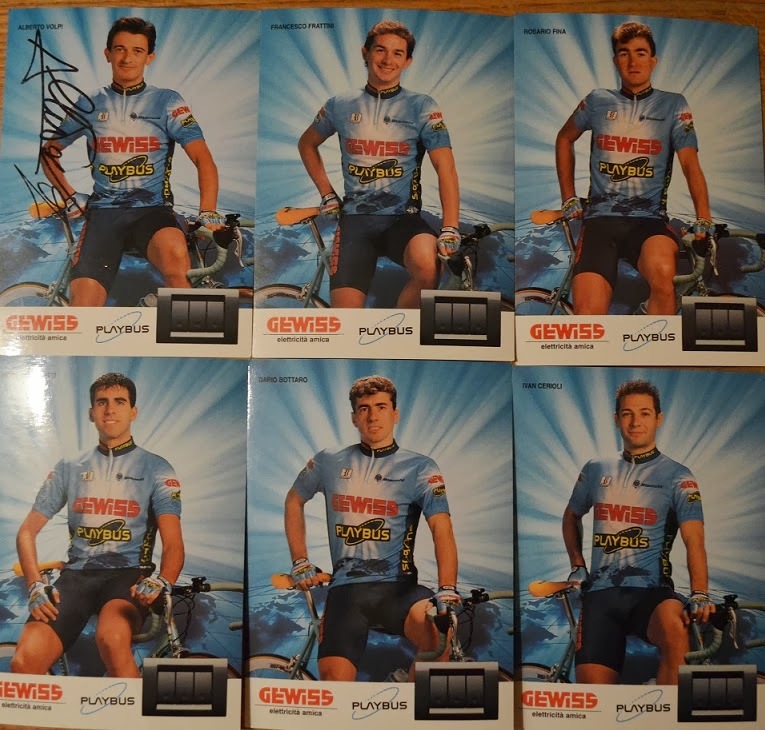 One photo is signed by Alberto Volpi, today DS in Team Cannondale. 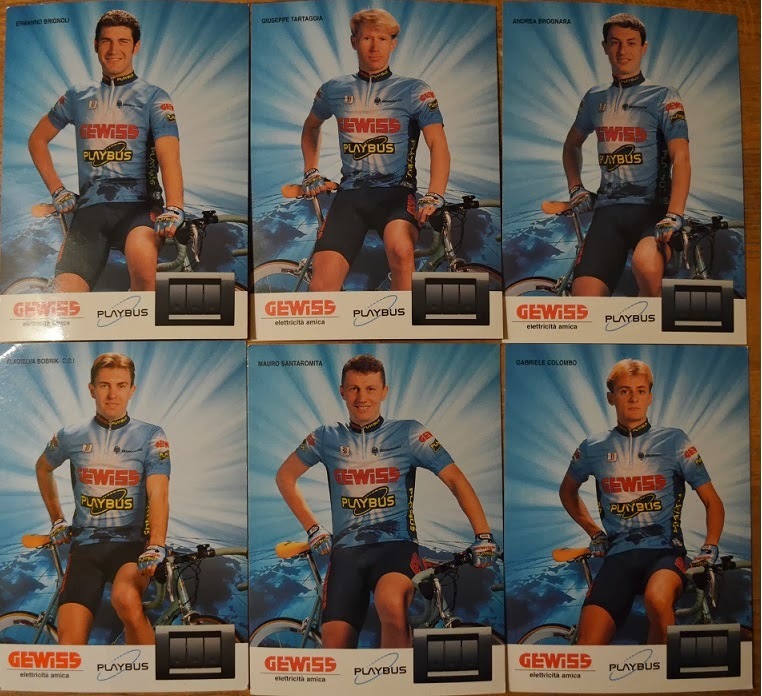 He has an exceptional carreer on the Bianchi bike, Teams he was attached to as rider are: Bianchi Piaggio, Sammontana-Bianchi, Bianchi Gewiss, Gewiss Ballan. 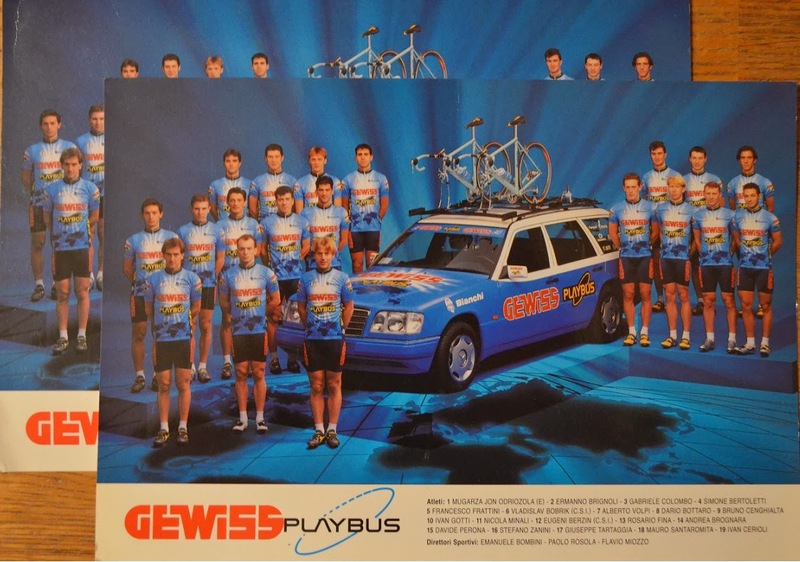 Gewiss Playbus as example. As DS he was attached to Team Barloworld. 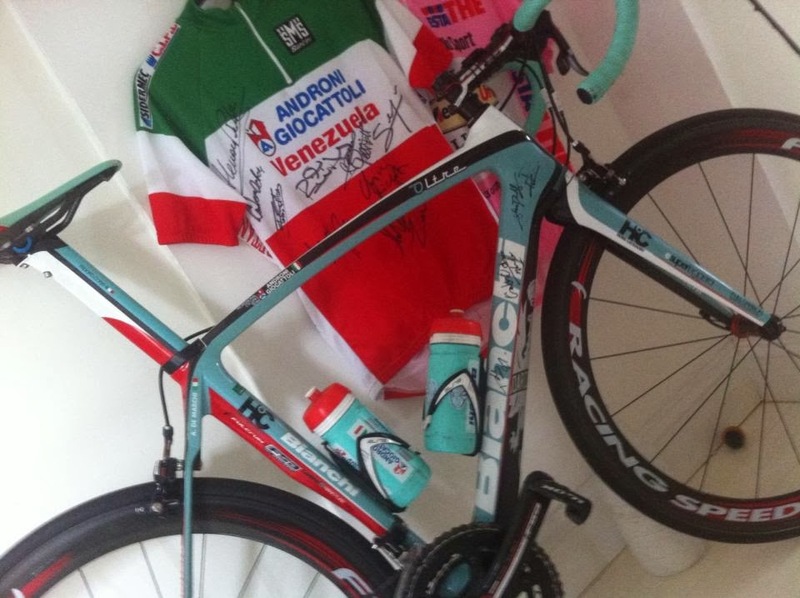 He s a Amazing man and well connected to the brand of Bianchi. As usual click on the photo and you see them bigger.